The following sermons are in MP3 format. Right click and save to your hard drive. Union with Christ - Becoming a Christian means more than entering into a personal relationship with God. We are entering into a legal relationship with God through Christ our representative and our head. A Christian is so united to Christ that God has already (past tense) raised us up with Christ. Every other religious founder came to show the way to God. Only Jesus Christ ever claimed that He is the way to God. The gospel isn't the ABCs of the Christian faith; it's the A to Z. It's not a set of beliefs or morals but rather a distinct worldview. The gospel is news about what Jesus has already done for us. It's the way we get through every difficulty,the way we change. This talk was given at a training conference at Redeemer Presbyterian Church in New York City. We cannot survive in this world without the presence of God. Yet,the holiness of God creates a chasm between God and man. The Bible vividly depicts this chasm when Uzzah is slain after merely touching the ark of the covenant. 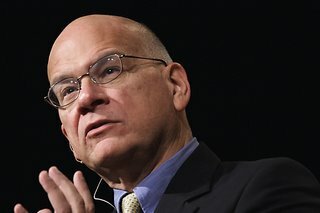 In this sermon,Tim Keller shows how Jesus Christ has satisfied the holiness of God in our place,and how through Him we can finally enjoy the presence of God. In the parable of the Prodigal Sons,Jesus redefines God as Father,redefines sin,and redefines salvation. We need the initiating love of the Father to learn to repent for something besides sins and to be moved by the cost of bringing us home. The great tension of the Old Testament is the seemingly ambiguous status of God's covenant with His people. Sometimes God speaks as if He will bless Israel irrespective of whether or not they keep the statues of His covenant. Other times the blessing appears to be conditional upon their obedience. This deep tension is resolved through the cross. Jesus takes upon Himself the curse for breaking the covenant. Meanwhile,all of us who have disobeyed the covenant receive - through faith in Christ - the reward that Jesus deserved for keeping the covenant. Matthew doesn't begin his Gospel with "once upon a time." Instead,he records a genealogy. This is Matthew's way of saying that the events of his Gospel narrative are real historical events,not mythical fictions. It is fascinating to see which specific individuals Matthew includes in his genealogy. In ancient times,one's genealogy was similar to one's resume; you only included the good stuff. But Jesus' genealogy includes prostitutes,murderers,despised foreigners and the offspring of incestuous sexual relations. In short,even the "begats" are dripping with grace. Justification is not merely an abstract theological concept. It is the sense of approval and belonging that every person desires. Justification is more than having our sins forgiven. Justification means that in God's eyes,we are given Jesus' perfect record. We are treated as if we had lived the perfect life that Jesus lived. We are given the love that Jesus deserved. We have the same access to the Father that Jesus did. The good news is that all of this comes not from us doing anything,but simply by faith.